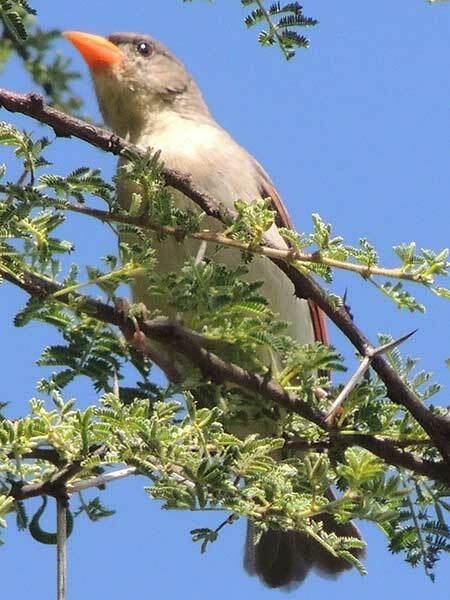 This female photographed in the Kerio Valley west of Kabarnet, Kenya. December 2015. Males of Red-headed Weavers have bright red plumage on the head and shoulders whereas the female's red is restricted to a narrow patch on the wing and distinctively, the bill.